This book is written by a certified IELTS instructor. It provides very useful ideas for writing task 2. It starts by introducing task 2 and then it provides some topics and sample answers. 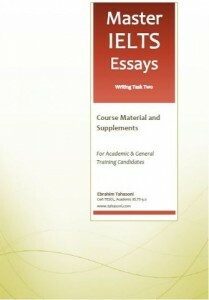 In other chapters the book offers some course handouts, academic word lists, handououts taken from IELTS Graduation and finally ideas for Ielts topics.